Can an Instagram post make up for this breach of protocol? What can DeChambeau, and amateur golfers learn from this? Great Read: Is Golf Becoming an Impolite Game? After posting the Golf Channel article onto a Facebook group, most of the commentary was negative, however, one commenter stated the following, "We’ve all been there." Yes, many golfers have played to the point of frustration whether there is a $2 Nassau, $20 or $100 on the line ...golf can be a baffling game, especially when you are racking up double bogeys and things aren't going your way; it is all in how we handle the pressure when facing the public, whether it's to your buddies or to the world. Reacting to pressure rarely gives you desired results - the key to overcoming pressure on the golf course when your round is falling to bits is to realize that it is a game and that your overreaction will only spiral causing you to sink deeper, and to lose more strokes. 1. You Hit a Really Bad Shot: Instead of negative self-talk, as you are traveling to the point of relief, plan your next shot, what club you are going to use and how you are going to properly execute to get back in play. 2. You Flub the Very Next Shot: Okay, so this hole isn't going as you planned...lucky this is only one of 18 you have to face during a round! Try a few deep breaths to help calm you. "Stay in the present and focus on the shot at hand," says PGA Professional Rob Labritz. 3. You Really Need to Vent: STOP! Before you throw a hissy fit or throw a golf club - take it out on the golf ball instead! Try squeezing your golf ball to release some tension. No one likes to play golf with partners who have temper tantrums or show their negative emotions on their sleeves. If you are the person who wins that day, you should be congratulated, as you would like the same respect given to you. "We’ve all been in a group where the atmosphere has been soured by someone’s temper, and it does affect the mood. Respect your playing partners by keeping things convivial. They have come for a fun day out, not to play in silence." (courtesy of golf-monthly.co.uk). It is easy to become frustrated when the golf course doesn't offer you any member's bounces and the water becomes a magnet on almost every hole but, managing your temper and putting the game in perspective will help put you back on track. I hope that Bryson took something positive away from this tournament. As the great Bobby Jones once said, "I never learned anything from a match that I won." Add to the conversation in the comments section of this golf blog and on Twitter @Golf4Beginners. During Jordan Spieth's final round at The Open Championship, there were wayward shots and missed putts - disappointing for the young PGA professional seeking a back-to-back win. On the flip side, Francesco Molinari was sure and steady, plodding along with sixteen pars and two birdies to clinch his victory. Congratulations go to Molinari, however, for not allowing the pressure of playing golf with Tiger Woods to dictate his swing or his confidence. Golf for Beginners has compiled this short list of golf takeaways that amateurs should consider, based on the conditions at Carnoustie and the trials and tribulations overcome by players during the 147th British Open Championship. Keep calm in the face of adversity - golf is a game of recovery, as Francesco Molinari showed the rest of The Open field on Sunday. Think about each hole and plan your strategy to keep the ball in play, going into the hole in the least number of strokes. Jordan Spieth complained stated about the windy conditions, "I felt like I had really good control of the ball. I didn't play the wind the right way on those two holes. I was trying to fight it instead of accepting that the wind is going to win out here." What can an amateur golfer do to combat the wind? Butch Harmon golf tip for playing the wind: "Keep the ball low to neutralize the conditions. Take a couple extra clubs, and swing at 75 percent. Fast swings create more backspin and send the ball higher, so resist the urge to smash it." Putting far outweighed being in tough lies off of the tee - Molinari was listed as fourth in putting for the week at Carnoustie, a statistic which helped him win The Open Championship. Molinari has been working with a coach to improve his putting, once said to be a "weakness" in his game. Coach Denis Pugh stated, "He isn’t giving away strokes gained elsewhere on the course, on the greens now." For amateurs, don't give away strokes. 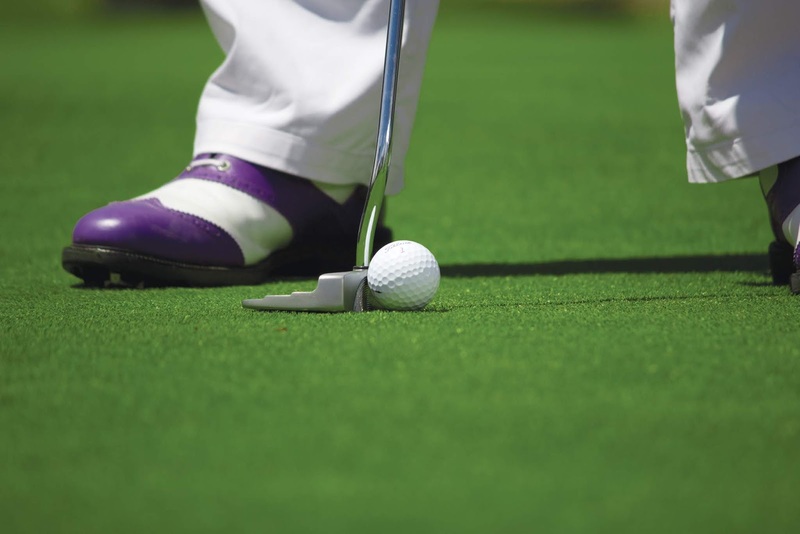 Practice your long putts too...at least to snug the golf ball up to the hole so it's an easy two-putt. What golf lessons did you learn from watching The Open Championship? Comments welcome below and tag us on Twitter @Golf4Beginners. When your golf game is losing steam, how do you adjust your attitude to compensate for the downward spiral? Golf for Beginners has a few golf tips to keep you in the groove. The average golfer has both good and bad rounds...and so do professionals on Tour. Where it may be easier for a Tour player to bring their minds back from double bogeys, it isn't as easy for the rest of us. I have my bad days as well, and I play golf with a youth who shares the same dilemma so I recently asked Dale Ketola, the professional golf instructor from Grande Dunes Golf Performance Center, how to handle the pressure when having a bad round of golf. His answer? Keep a "poker face" throughout your round. Need help with this? Watch the tour professionals. No matter how their round goes, their expression rarely changes. Try to maintain a poker face, no matter what the situation - no highs, no lows. I am curious to see how many of our readers can successfully sustain this type of composure! When your golf game is carding doubles, step up to your ball and try to remember the last time you hit a similar good shot - visualization is one of the main keys to hitting solid shots. Dr. Bob Rotella, in a Golf Digest article, suggested this third golf tip which, if you can do it, will help you whether you play a good or not so good round. Don't think about the result...instead, think of the process during your round. Executing your pre-shot routine on every shot. Trusting your swing on every shot. Staying in the present, which boils down to...not thinking about what your score might be and taking each shot as it comes. 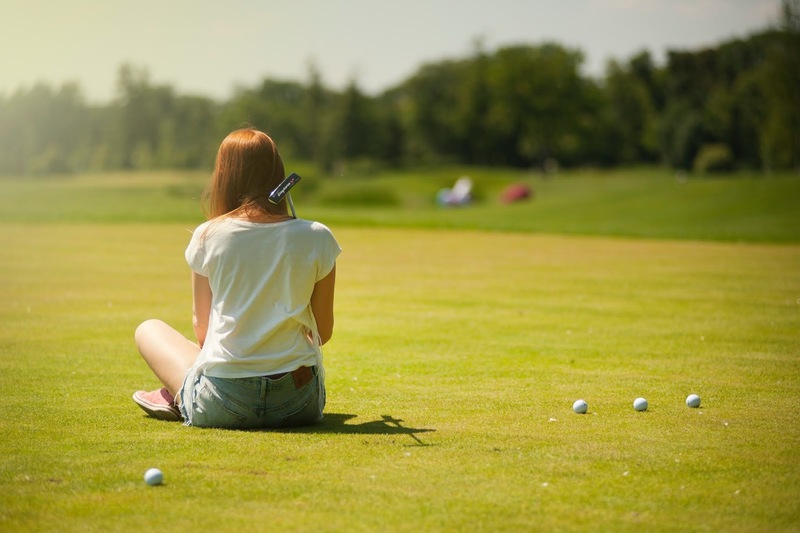 Golf for Beginners is not stating that, if you follow these three golf tips that your rounds will miraculously improve but we believe that you will be able to move forward in your study and appreciation of the game and not focus too much on negativity when your attitude takes over. Golf tips are welcome in the comments section of this blog. Tag Golf4Beginners on Twitter with your comments. Is Winning or Losing in Golf in the Putting? Two golf tournaments ran simultaneously recently, the Quicken Loans National and the U.S. Senior Open - for both winners, it all boiled down to putting skills. Both Francesco Molinari and David Toms were rolling phenomenal putts; Molinari's 50-footer for eagle at the 10th hole made putting look easy. The AP article on PGA Tour website said about Toms, "On a course where the greens perplexed the entire field for four straight days, Toms rolled in a 15-footer for a go-ahead birdie on No. 16, then coaxed in a downhill, 20-foot slider to save par after driving into a fairway bunker on the 530-yard, par-4 17th." In a previous Golf for Beginners blog, we discussed Golf Shots You Need To Practice to Score Low; golf gurus such as Ben Hogan thought the tee shot was the most important while "PGAProfessional " thought that putting was of top priority. After both tournaments, I think we can concur that, without a solid putting game, most golfers can not score low. Using Tiger Woods' performance at The National as an example, although a tie for 4th place is worthy of accolades, his inconsistent putting game is what stopped him from gaining momentum...you just can't miss four-footers! As Tiger concurred after his defeat, "Those are things I can't afford to do and expect to win a golf tournament." David Toms is 5th in putting average on the Champions Tour with a 1.734 putting average while Molinari's putts per greens-in-regulation are at 1.8...similar statistics gaining similar results although, as GolfWorld states, "putting has kept him from raising a few trophies in America previously", further provides evidence that it is the flat stick which wins tournaments. In the blog, "Easy Golf Tips to Inspire Confidence on the Putting Green", the one golf tip which resonates is that "touch is one thing very good putters have in common. Touch is the core ingredient for long-term success." And, as a simple reminder from Tom Watson's book "Getting Up and Down", "Aim the putter, then align your body. Just like a golfer sets up at the tee box, the same is true when standing over a putt. Proper set-up is the beginning of a solid putt." We encourage you to add to golf putting tips in the comments section below and tag us with your tips on Twitter @Golf4Beginners.